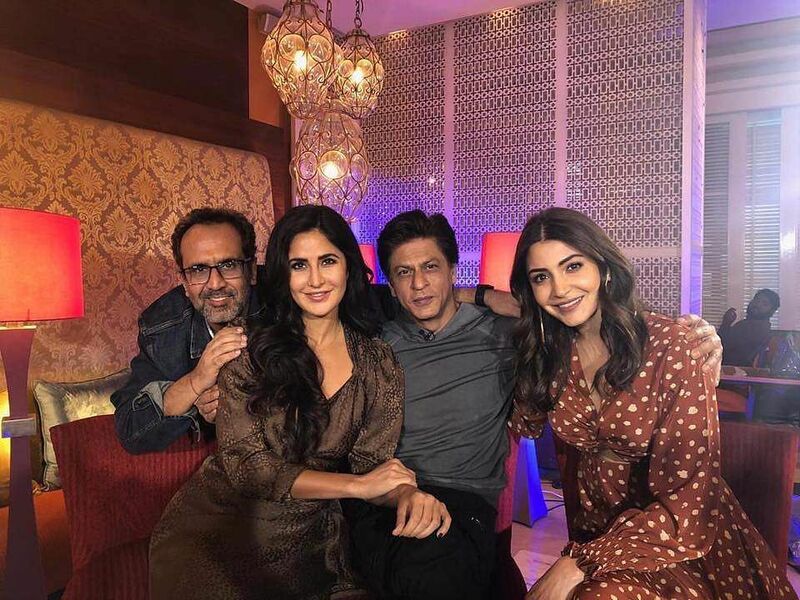 Katrina Kaif, who will be seen alongside Shah Rukh Khan and Anushka Sharma in Aanand L Rai's Zero, talks to us about playing an alcoholic film star in the film. Katrina Kaif was initially hesitant to play the role of Babita Kumari — a successful film star who battles severe emotional turmoil and alcoholism — in Aanand L Rai’s Zero that’s set for release tomorrow. “I was initially not inclined to do the character. She seemed like just another film star going through pain. Then, Aanand sir made me see the person he wanted to create, behind the surface. That was an intense journey we went on together. I didn’t really want to go there because I was already coming out of a difficult phase in my life and was in a peaceful state of mind,” she says. The film, written by Himanshu Sharma (Tanu Weds Manu, Raanjhanaa), tells the story of a dwarf named Bauua Singh (Shah Rukh Khan), who falls in love with two completely different women: Bollywood star, Babita Kumari (Katrina Kaif), and the scientist, Aafia Bhinder (Anushka), who has cerebral palsy. The film explores the ‘inherent sense of incompletion that humans feel — be it physically, emotionally or mentally — and makes a case for finding happiness with self’. What convinced Katrina to take up the part, the actor recalls, was the character’s vulnerability and her constant struggle to shield her feelings from the world. “Babita’s life is tumultuous. She’s in pain and insecure — but doesn’t show it. That’s something I really liked about her. I think people will relate to her frailty and also how she tries to cover it. As human beings, we tend not to display our true emotions. If we are in an atmosphere that makes us insecure, we become aggressive or defensive, and pretend we are happy. That’s what makes my character, Babita, interesting to watch on screen. She’s always fighting for herself. No one likes a person who asks for sympathy,” Katrina notes. Born in Hong Kong and hailing from London, Katrina Kaif made her Bollywood debut in Kaizad Gustad’s 2003 film, Boom, which also starred Amitabh Bachchan, Jackie Shroff and Padma Lakshmi. Over the last 15 years, she has established herself as one of the most bankable commercial actors in Bollywood, having been a part of blockbuster films like Partner, Welcome, Raajneeti, Ek Tha Tiger, Dhoom 3 and Tiger Zinda Hai. “When I started out, I wanted to get known in every household… like Hema Malini ji. I wanted to be loved and acknowledged by everyone. Then I entered a phase where I wanted to enjoy the characters I was doing. When Ali Abbas Zafar came to me with the character of Dimple in his first film, Mere Brother Ki Dulhan, I knew he had written a great role, and it would be so much fun to do. I loved doing Zindagi Na Milegi Dobara with Zoya Akhtar too. Then I went into a slightly different direction with large-scale films like Dhoom 3 which were more about song, dance and glamour. Some choices were conscious, while with others, I just went with the flow. Right now, I am at a place where I feel happy and creatively-satisfied. I am learning something new everyday,” she says.